Chevron Corp. (CVX), the world’s third-largest oil company, signed an accord with Argentina’s YPF SA to invest $1.6 billion this year in shale development and become the country’s largest foreign producer of shale oil and natural gas. Chevron and state-run YPF plan to drill 170 wells in a 96,000-acre area this year in Argentina’s Vaca Muerta formation, the world’s second-largest shale gas deposit and fourth-largest shale oil reservoir, both companies said today in separate statements. Argentine President Cristina Fernandez de Kirchner’s government expropriated a 51 percent stake in YPF from Spain’s Repsol SA (REP) in April 2012 after saying the Spanish oil company hadn’t invested enough in exploration. Repsol’s board agreed in February to accept $5 billion in compensation for Argentina’s expropriation of the unit. Ending the two-year international dispute may help attract investors to the country. The latest investment follows an initial $1.24 billion pilot investment financed by Chevron and paves the way for a total plan of $15 billion. The joint venture partners are targeting daily output of 50,000 barrels of shale oil and 3 million cubic meters of shale gas by drilling 1,500 wells. Vaca Muerta, Spanish for dead cow, may hold 23 billion barrels of oil equivalent, according to a report by independent auditor Ryder Scott released in February 2012 by YPF. YPF’s American depositary receipts were little changed at $30.65 at 11:52 a.m. in New YorkChevron fell 1.2 percent to $117.64. Chevron late yesterday said it is on track to post its lowest first quarter production in eight years after bad weather disrupted operations in Central Asia and North America. Chevron is the third most valuable oil producer after Exxon Mobil Corp., and Royal Dutch Shell Plc. This entry was posted in News on April 10, 2014 by Elias Kier Joffe. Argentine natural gas distributor shares are having their best week since October after the government allowed the first rate increases in 15 years. Transportadora de Gas del Norte SA shares have jumped 18 percent this week, the most since October, and were up 4.1 percent today to a six-year high of 2.02 pesos at 4:08 p.m. in Buenos Aires. Metrogas SA shares have rallied 13 percent this week to 1.98 pesos, the highest since 2004. Argentina froze utility rates in 2002 to help fuel economic recovery after a financial crisis drove the country to default on $95 billion. While natural gas prices have been largely capped since, inflation at around 25 percent made costs surge, eroding companies’ income. This week’s increase is a step toward improving their finances, according to Mariano Tavelli, president of brokerage Tavelli & Cia. The government allowed natural gas distributors to increase rates charged to residential and commercial users by 200 percent to 650 percent, depending on the company, area and type of user, according to a resolution published in the official gazette April 7. Part of the rates will be used to pay for the difference in natural gas prices, which also increased. The higher rate won’t be applied to users who reduce consumption by 20 percent. The majority of the Arab Argentines are from either Lebanese or Syrian background with a smaller amount of Palestinian, Egyptian and Moroccan background.Among Arab Argentines, approximately 900,000 are Muslims.The interethnic marriage in the Arab community, regardless of religious affiliation, is very high; most community members have only one parent who has Arab ethnicity. As a result of this, the Arab community in Argentina shows marked language shift away from Arabic. Only a few speak any Arabic, and such knowledge is often limited to a few basic words. Instead the majority, especially those of younger generations, speak Spanish as a first language. Many have gained prominent status in national business and politics, including former president, the son of Syrian settlers from the province of La Rioja. Experienced immigration lawyers to assist you and your family to immigrate to Argentina from an Arab Country. We assist individuals and families from Arab countries in their efforts to relocate to Argentina and obtain Argentinian residency and citizenship. We manage and oversee a team of local Argentinian service providers to ensure that our clients’ applications are filed properly and that all follow up work with the Direccion Nacional de Migraciones (DNM) is handled in a timely and cost-effective manner. Our services are catered to clients who wish to rest comfortably knowing that Argentinian licensed attorneys are monitoring their immigration status. • Reviewing all necessary documentation by an Argentinian licensed attorney in conjunction with our local team of immigration experts. • Scheduling of all necessary appointments with the DNM. • Obtaining certified translations of all documents. • Obtaining notary stamps on all documents from licensed escribanos (notary publics). • Ensuring that all documents are properly registered with the civil registry. • Accompanying you to the DNM to submit your residency application. • Tracking your residency application and immigration status. • Accompanying you to government offices to apply for your temporary National Identification Card (Documento Nacional de Identidad). • Responding to any additional requests by the DNM. • Obtaining necessary follow up documentation, translations and notary stamps. • Updating your residency application. • Accompanying you to government offices to apply for your permanent National Identification Card (Documento Nacional de Identidad). 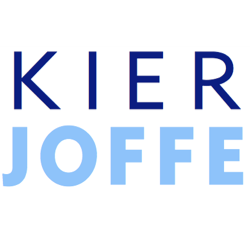 Kier Joffe takes great pride in walking its clients through each step of the application process. At no point will you be left to fend for yourself and you can rest assured knowing that your application is being managed by an Argentinian licensed attorneys in conjunction with our team of local experts. The applicant must gather his or her certified birth certificate and, if applicable, a certified marriage (or dissolution of marriage) certificate. These documents must be either “apostilled” or “legalized” depending on which country issued the document. The applicant must obtain police reports from the applicant’s country of birth, countries of citizenship and each place of residency over the last 5 years. Police reports must be either “apostilled” or “legalized” depending on which country issued the document. All applicants must travel to Argentina to apply for residency. Argentina requires an entry visa for any passport holder from all the Arab countries if the visitor’s stated purpose is tourism. Lastly, the applicant must physically appear before the local immigration office (DNM) to submit his or her application. Appointment times should be reserved at least three weeks before the desired dates. The moment the application is accepted by the DNM the applicant is considered a temporary resident. A temporary resident is entitled to live and work in Argentina, much like a Green Card holder is permitted to live and work in the USA. Because of the overwhelming number of residency applicants, it now takes approximately 1 to 2 years for temporary residents to be granted their permanent residency.Please note that the DNM requires that applicants actually reside in Argentina at least 6 months a year in order to be granted permanent residency. Why should I choose Kier Joffe to assist me with my residency application? The answer is the professional and personalized service you will receive from our attorneys in conjunction with our team of local Argentinian service providers. We have found our services in demand by those applicants who do not wish to micromanage the affairs of Argentinian service providers who often lack the diligence and competence our clients are accustomed to. Our law firm has located the best and most diligent native residency experts so our clients will not suffer unnecessary delays in their application. The honest truth is that we receive a lot of inquiries per month same as yours from arabs countries. We are sorry but because Internet Scams without the copy of your passport we cannot help you, it is very important to establish what kind of VISA you can apply for. 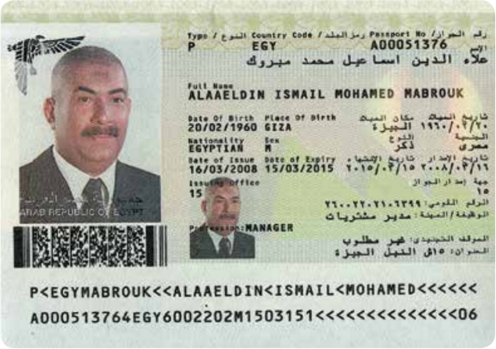 Please bear in mind that the total legal fees could range from $3,000 to $8,000 USD and before you send us copy of your Biographical Passport Page to [email protected] you have to pay a retainer fee of $95 USD by clicking here. Thank you once again for your cooperation and we will be awaiting your passport and Credit Card payment. This entry was posted in News on January 27, 2014 by Elias Kier Joffe. Service of process is the procedure by which a party to a lawsuit gives an appropriate notice of initial legal action to another party (such as a defendant), court, or administrative body in an effort to exercise jurisdiction over that person so as to enable that person to respond to the proceeding before the court, body, or other tribunal. Notice is furnished by delivering a set of court documents (called “process”) to the person to be served. In Argentina there are not certified agencies for proof of service. However lawyers can deal with this kind of process in court, passing before and after the notification though the Central Authority of the convention, or directly, we can serve documents accordingly to what court orders. We also can deal with ID verification process. This entry was posted in News on August 26, 2013 by Elias Kier Joffe.